How does God ask us to handle differences in how we relate to one another in the body of Christ? Many Mainline Protestant, Evangelical, and Pentecostal denominations feel painful tension when their desires for unity run up against seemingly irreconcilable differences. This tension leads to some difficult, but important questions. The Evangelical impulse with these tensions has historically been to separate and form new bodies. These splits can form out of differences of doctrine, practice, philosophy, or personality. Often, the understanding of the party that is splitting away is that they are just being faithful to a specific mission or vision. It’s not uncommon in America to see churches that split (“reform”) from their parent church and simply move across the street. But is the tendency to split right? Is it faithful to the will of God and to the Christian mindset as cultivated across the centuries of the church? If it is not right, or at the very least, if the sheer number of splits caused by the impulse towards mission gives us some pause, what should guide us when we are faced with these difficult seemingly irreconcilable moments? Through this parable, we are told not to gather up the tares in our own power, lest in the process we might uproot the wheat with them. This resonates with a long line of Jesus’s teaching on conflict: turn the other cheek, forgive, go the extra mile, stay with those whom you are committed to, be proactive in conflict resolution, etc. Most of us as Christian leaders fall very short of these basic and plain teachings of Jesus when it comes to handling conflict with our brothers and sisters in Christ. The teaching from the Gospel of Matthew is also very practical. Let’s personalize what St. Augustine said about tares in the Church with an illustration. Say that we suspect a minister in the Church to be a “tare.” This person holds the faith weakly and is not able to articulate even some of the most basic teachings of the faith to his or her congregation. The congregation uses a robust liturgy which covers the creeds, the faith, repentance, forgiveness, and communion with God through the Eucharist. Our Evangelical impulse would be to remove this person from ministry. We ought to think, however, about what is being nurtured in this community of faith. We should be careful not to cause the faith of those in this church to collapse, for what is clear to us may not be seen or understood at all by a young sapling in the faith. To that individual, the minister could be seen as a role model, as a mentor, and as a brother or sister in Christ. Two things are at play here. First, anything that is done in the name of Christ and which grows the Kingdom of God or increases people’s faith will also benefit the participant. Second, God can use almost anything to grow the Kingdom of God. And while iron should sharpen iron, the bottom line is that we are not in our own power to lord over our fellow Christians. For our judgment is not perfect and lacks the perfect charity under which we ourselves will be judged. It points us to the need to let God be the judge of the works of another. It points to how we handle difference both structurally and personally. It gives us a reference point for conscience. 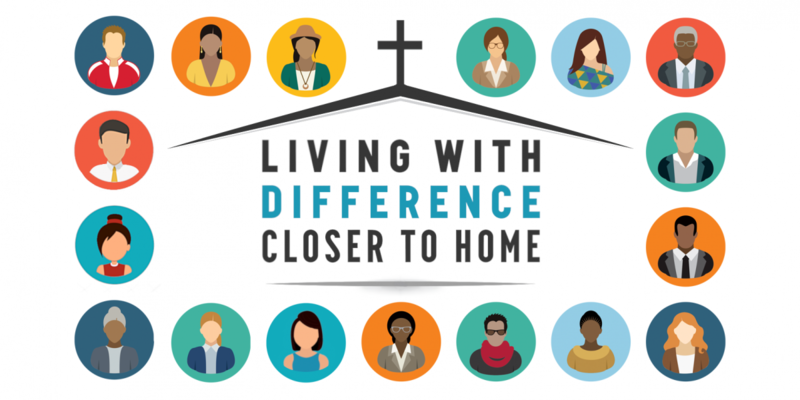 For those of us who believe in the embodiment of the Church, it gives us some ways to think about difference as well as what our boundary lines ought to be when we relate to others. Now, it’s important to acknowledge that churches do certainly have to make hard decisions. Those decisions may necessitate or lead to a certain segment leaving the church at some point, but this whole process—legal, personal, and relational—should be in blessing, not in division. God will ultimately judge our decisions. We have to rely on the mercy of God, who will ultimately reconcile all false judgments and reveal all the intentions of our own hearts. In the meantime, let us work to be peaceable in our disagreements and live by Romans 12:18, “So far as it depends on you, live peaceably with all.” Let us take seriously the forms of unity while allowing for individual conscience and even gracious exits for those who find that they are not able at this time to be in the same denominational body with us. Let us always look for ways to strengthen the Kingdom even as we deal with our imperfections on earth. Let us remember that the reality of heaven, which is perfect unity, is still available to us on earth through our relationships with one another. So let us make every effort to live according to the whole counsel on scripture and hear afresh what God says about unity, difference, and mission.